Clerisy Press has asked April Slaughter to write a book on haunted Texas locations for their America’s Haunted Road Trip traveler’s series! Ghosthunting Texas is tenatively scheduled for publication in the Fall of 2009. April will be networking with groups and individuals all over the state, researching the experiences of others in various areas to highlight in the book. If you would like to participate in the research project, please contact April directly at hauntedtexas@gmail.com. Please review, sign, and return the the Consent & Release Form if you would like to participate! It is a great way to garner more attention for your team and the work you have done. Please be aware that all locations considered (at the discretion of the author) must be open to the public. No private residences or restricted areas will be profiled. Come join us on the Official Forum and be sure to purchase your copy of all the books in the series currently available!! Allen & April Slaughter, along with Advisory Director John Melchior, have returned home from their trip to the DarknessRadio/TAPS event this past weekend, where they had the opportunity to meet with many individuals working in the paranormal research field. Bill Chappell of Digital Dowsing presented information on the various devices he has engineered for researchers to test, and allowed Allen, April, and John the opportunity to work with one such device, the Ovilus I in an undisclosed area of the hotel property. Initial testing impressed our founders so much that they purchased an Ovilus I to add to their collection and will be compiling information for other researchers and those curious about the paranormal to review. The Paranormal Source, Inc. is privileged to own and work with several ‘ghost box’ devices along with the Ovilus I, including a genuine Frank’s Box (#37), MiniBox Prototype #3, and the RS Hack (12-820). Thank you to Dr. Ciaran O’Keeffe! 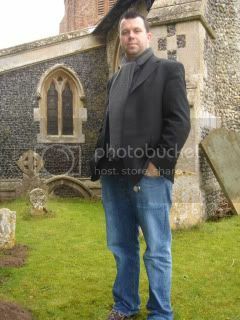 You know him from the Travel Channel’s MOST HAUNTED as the “soft spoken voice of reason”. April & Allen Slaughter connected with Dr. Ciaran O’Keeffe of the popular show (thanks to our dear friend and colleague Scotty Roberts) and agreed to loan him one of their ‘ghost box’ devices – MiniBox Protoype # 3, for testing during MOST HAUNTED’s Live Gettysburg event on October 10, 2008 and to further study the results with the box in various other experiments. April Slaughter also recently had the opportunity to interview Dr. O’Keeffe for an upcoming article on his views on paranormal research ethics and technique. Investigators and enthusiasts can look forward to learning more in the article as well as in a forthcoming publishing project April is currently working on where Ciaran will provide a skeptical view on ghost box tech. We would like to thank Dr. O’Keeffe for his time and contributions! 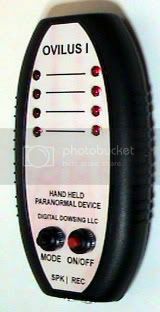 You are currently browsing the Paranormal Source - Paranormal Research & Development Team blog archives for November, 2008.